Can you really make money blogging by turning your personal passions, knowledge, or experience into a real income on the internet? Close to a decade after the Wall Street meltdown, people are still finding it tough to recover past losses and make ends meet. Fewer and fewer of us can count on steady, lifelong employment, and for those who are so fortunate, the salary and benefits (if any) are barely enough to meet our basic needs.Second job, anyone? In America, two-income families are the norm, but think of the havoc it wrecks on your daily life. You’re so exhausted by the time you get home from work, you barely have enough time and energy to make dinner and help the kids out with their homework. Even that becomes difficult if you work at more than one place, whether evenings or on weekends. The reality is we are moving to a freelance and gig economy where more and more people are making money on their own terms through a side hustle. And of the most popular side hustles is to create an online presence and make money blogging. It's no surprise that more and more people are looking for information on how to start an online business to generate extra income (or even full-time income) on the internet. The Internet has made blogging mainstream, to the point where there may be over half a billion blogs online as you read this article. While income generation is not the only reason (or even the best reason) to blog, opportunities do exist for people to create supplemental income with a blog. If you are new to blogging or have just recently started a blog, congratulations! I hope your main motivation is to provide valuable content for your readers because that’s how you will establish expert status in your niche in the long-term.However, there is nothing wrong with making some extra money through blogging and several simple methods exist for getting the ball rolling. It should go without saying that in order to make money with a blog it's best to start off by choosing a profitable niche market; something where there is a proven marketplace that intersects with your own passions, interests, and expertise. Once you've done that, it's just a matter of getting website traffic, building your email subscriber list, and making money online. Let's take a look at some of the fastest, easiest, and most profitable ways you ca make money online with a blog. Google Adsense might be the fastest and easiest way for a beginner to start earning passive income with a blog. The basic ideas behind Adsense is that you can display Google Ads on your website and when a visitor clicks on those ads you get a percentage of the ad costs. You've certainly have seen ads on other people's websites; you can have these ads appear on your blog or website as well. Adsense is a contextual advertising network that places partner (business) ads on your website. It’s easy to set up—all you have to do is copy and paste some code given to you from Google in the places you'd like the ads to appear on your website.Google will then show ads from advertisers that are a match to the content on your website so that ideally your website visitors are seeing relevant ads. Don’t worry that your blog niche won’t be able to draw quality ads to your site. Google Adsense is one of the biggest networks on the Web, so you should get a healthy enough list of clickable sites to attract your readership. And Google is smart enough to only show ads on your website that are relevant to the content on your website, so in many cases this can enhance the user experience on your site and the ads can be helpful. Just make sure your content is of the highest quality! 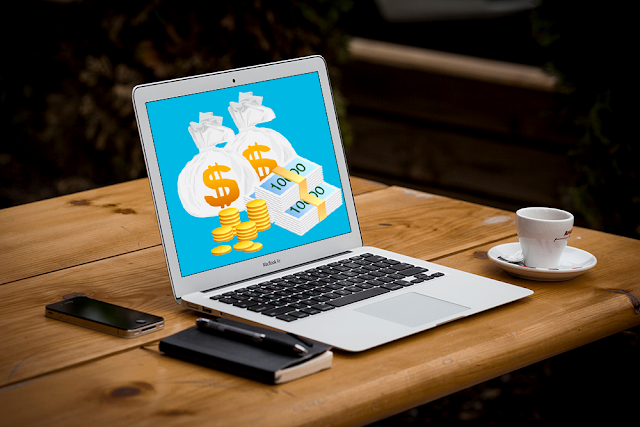 Though Adsense is a popular option, I think that affiliate information marketing is also an excellent way to make virtually passive income online. There are many ways you can promote Amazon products on your website. You could include a product catalog (pulled from Amazon.com) on your blog, you can write product reviews and link to the products you recommend on Amazon, and you can have a recommended resources page on your website; just to name a few. The one caveat about Associates is that it probably suits bloggers who write about merchandising, retail products and shopping a fair bit. Logically, it will help your performance if visitors arrive at your website already predisposed to buying. The program works by getting Amazon links, banners, or widgets (e.g. slideshows, ‘My Favorites’, ‘Wish List Widget’) onto your pages. One added benefit is that if someone clicks on a link from your website to Amazon and ends up buying multiple items (not just the item you are promoting) then you would get credit for the entire sale! Imagine you recommend a book on Amazon, your visitor goes to Amazon to buy a book - and while they're there they end up buying a new TV, a Sony PlayStation, and some other things... you get credit for all of the sales. Not only that but any sales that are made in the following 15 days from that customer are credited to you as well. Another way to make money with Amazon is by publishing digital books on Amazon Kindle. As I mentioned above, on of my favorite ways to make money on the internet is by promoting digital information products as an affiliate. Just make sure that the e-book builds on your blog output—don’t simply rehash what they have already seen! After all, these people are now paying customers and will get upset with old information. Later on, as you become more established and your archived material becomes more extensive, poll your readers to see what topics they’d be interested in learning more about and potentially what topics of e-books they’d be interested in purchasing. Again, you can sell an ebook for a much higher price than a regular book and benefit from a much higher profit margin. You have to decide where in the blogging “big leagues” you want to end up. The reality is that as more and more people from all over the world come online, the harder it will become to get attention online and generate income. That's why it's so important to focus on building your email list, so you can follow up with your visitors, build a relationship and increase sales. That being said, there are countless success stories out there, and the formula for success is surprisingly simple. It’s just up to you to get it done!